Watson-North Funeral Home is honored to be of service and ministry to the family of Rev. 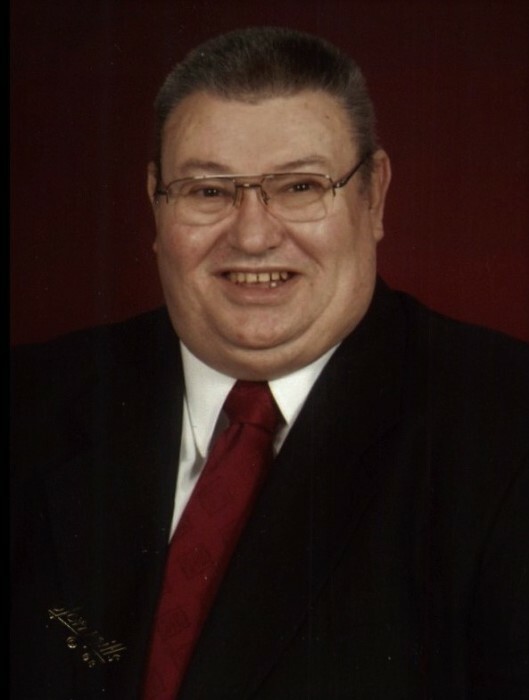 Dr. James E. “Jim” Click, age 71 of Winchester. Rev. Dr. Click passed from this life in the afternoon hours April 5, 2019 at his home. A native of Granite City, IL., he was a 1965 graduate of the Granite City Senior High School. He enlisted in the United States Air Force in 1966 where he specialized in Aerospace Ground Equipment. He was stationed in Smyrna, TN where he met the love of his life, Mildred Stratton. They married in 1970 following the completion of his military service in 1969. He began a 14 year career in retail management with K Mart where he worked at various locations including Illinois, Nashville and finally in Tullahoma. He later worked for John Smith Real Estate then went on to establish his own company, Click’s Survey and Appraisal Company. He also served as a Franklin County 911 dispatcher and the Volunteer Auxiliary of the Franklin County Sheriff’s Dept. After his call to the ministry he attended Martin Methodist College. After his ordination into the United Methodist Church he served as the pastor at Mt. Pleasant United Methodist Church in Hillsboro. He later served as an Associate Pastor at Winchester First United Methodist from which he retired in 2006. He loved woodworking, fishing and camping and was a gifted musician. At one time he, his parents and siblings had a family gospel singing group. He will be remembered as a devoted patron of Skip’s Grill and a great admirer of John Wayne, having seen each of his movies multiple times. Rev. Dr. Click is preceded in death by his mother, Hildred Lena Wells Click; brothers, Curtis Hugh Click and Mark Click. He leaves to cherish his memory and mourn his passing, his wife of 48 years, Mildred Stratton Click; daughters, Elizabeth (Rev. Adam) Miller of Winchester and Stephanie (Mike Dotson) Payne of Estill Springs; grandchildren, Wyatt Payne and Jenna Payne; father, Estle H. Click of Granite City, IL; sister, Judy Prier of St. Peters, MO; brothers, David (Kaye) Click of Huntland and Clay Click of Granite City, IL. ; sister-in-law, Glenda Click. The family will receive friends at Watson-North Funeral Home Monday April 8, 2019 between the hours of 5 and 8 p.m. The funeral service will be conducted from the chapel of Watson-North Funeral Home at 2 p.m. Tuesday April 9, 2019 with Rev. Dr. Steve Angus, Rev. J.D. Spencer and Rev. Adam Miller officiating. Interment will follow at Watson-North Memorial Park where Masonic rites and military honors will be rendered. Serving as pallbearers will be Wyatt Payne, Mike Dotson, Steve Bates, Shane Sowers, Lee Hall, Clint Payne, Chad Gilliam and Glen Blackburn. Online condolences may be sent to www.watsonnorth.com.